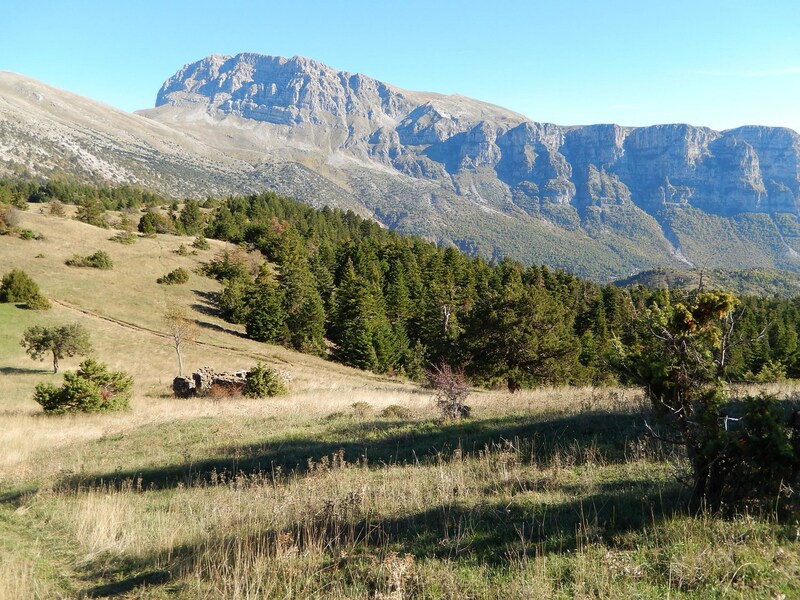 The geological history of the broader region of Pindos begins 200 million years ago about the beginning of the Jurassic era with the formation of rocks of biochemical, organogenic origin. During that era, 35 million years ago, from the Lower Jurassic to Upper Eocene, dolomites and limestones were formed with variations in the sedimentary environment (depth, chemical processes, tectonics). At the end of the Eocene, the sedimentary conditions changed abruptly and began a new, different cycle of sediments. It is the period of the flysch formation from alternations of clays, siltstones, sandstones and conglomerates. Moreover, 20 million years ago, strong geodynamic processes took place causing deformation of rocks. From the continuous convergence of the lithospheric plates, specifically of the African plate under the Eurasian, sediments and magmatic rocks, termed ophiolites, are compressed and pushed towards the surface to create in turn the mountain series. Following the formation of the terrestrial and the mountainous region, new rocks are formed by erosional and weathering processes. During the Pleistocene, alternations of glacial and inter glacial periods took place. The area of Tymfi was covered by glaciers during intervals. 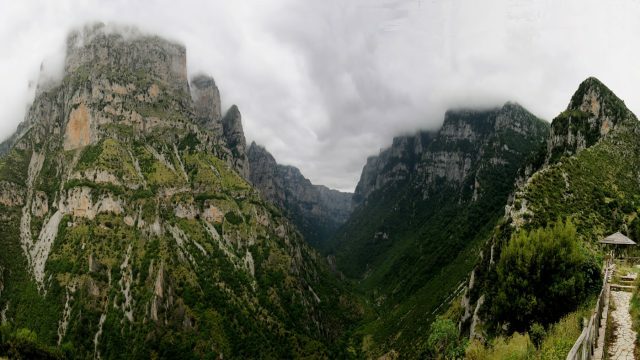 The rapid upward movements combined with the strong vertical erosion have created two of the most beautiful and deepest canyons worldwide that are crossed by the homonymous rivers Voidomatis (or Vikos) and Aoos. 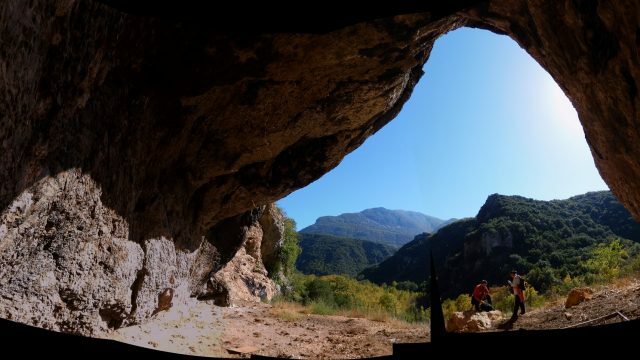 Following the geological thematic route starting from the village Megalo Papigo, heading to the north and ending at the top of Koula (1560m), the visitor will have the opportunity to learn many of the secrets that hide inside the rocks and the wider area of the geological bedrock.